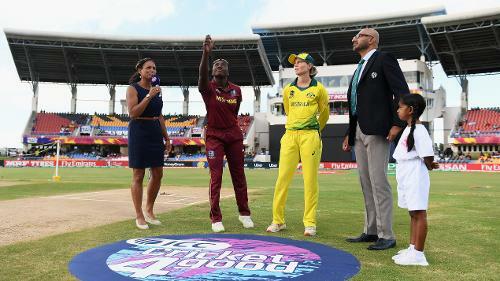 General view of the toss during the ICC Women's World T20 2018 Semi-Final match between Windies and Australia at Sir Viv Richards Cricket Ground on November 22, 2018 in Antigua, Antigua and Barbuda. 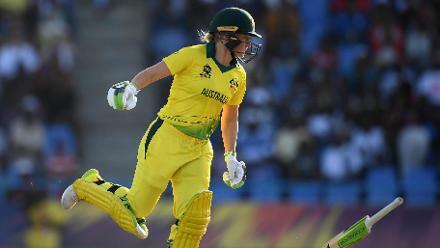 Alyssa Healy of Australia attempts to make her ground as her bat is knocked from her hand during the ICC Women's World T20 2018 Semi-Final match between Windies and Australia at Sir Viv Richards Cricket Ground on November 22, 2018 in Antigua. 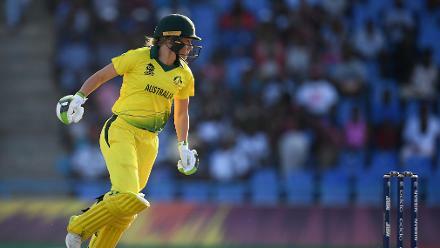 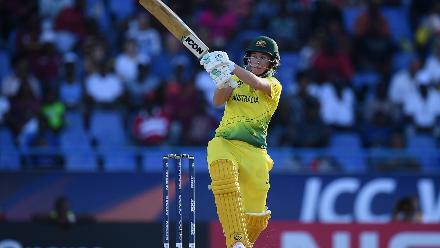 Beth Mooney of Australia bats during the ICC Women's World T20 2018 Semi-Final match between Windies and Australia at Sir Viv Richards Cricket Ground on November 22, 2018 in Antigua, Antigua and Barbuda. 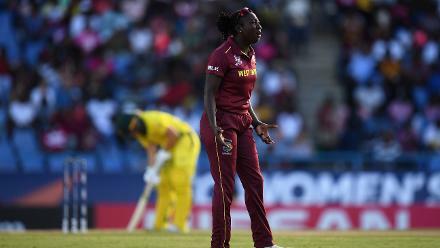 Stafanie Taylor of Windies reacts during the ICC Women's World T20 2018 Semi-Final match between Windies and Australia at Sir Viv Richards Cricket Ground on November 22, 2018 in Antigua, Antigua and Barbuda. 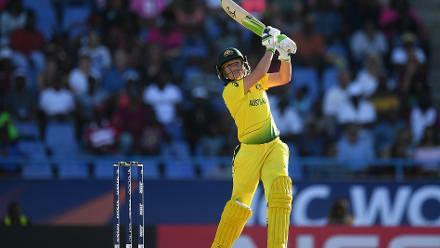 Alyssa Healy of Australia bats during the ICC Women's World T20 2018 Semi-Final match between Windies and Australia at Sir Viv Richards Cricket Ground on November 22, 2018 in Antigua, Antigua and Barbuda. 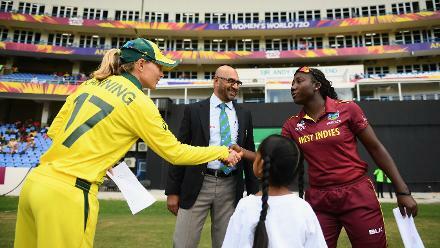 Meg Lanning, Captain of Australia (L) shakes hands with Stefanie Taylor, Captain of Windies (R) during the ICC Women's World T20 2018 Semi-Final match between Windies and Australia at Sir Viv Richards Cricket Ground on November 22, 2018 in Antigua. 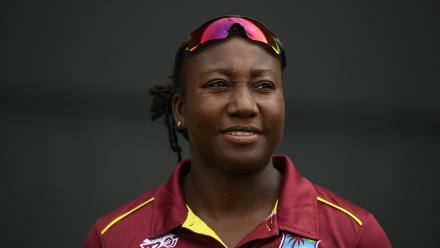 Stafanie Taylor of Windies looks on during the ICC Women's World T20 2018 Semi-Final match between Windies and Australia at Sir Viv Richards Cricket Ground on November 22, 2018 in Antigua, Antigua and Barbuda. 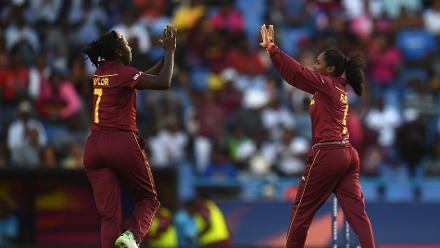 Stafanie Taylor (L) and Afy Fletcher of the Windies celebrate the wicket of Alyssa Healy of Australia during the ICC Women's World T20 2018 Semi-Final match between Windies and Australia at Sir Viv Richards Cricket Ground on November 22, 2018 in Antigua. 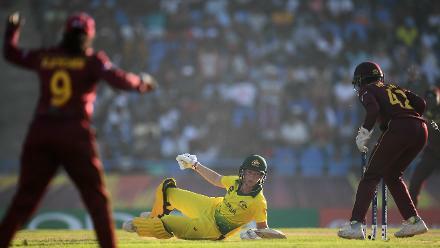 Meg Lanning of Australia dives to make her ground during the ICC Women's World T20 2018 Semi-Final match between Windies and Australia at Sir Viv Richards Cricket Ground on November 22, 2018 in Antigua, Antigua and Barbuda.